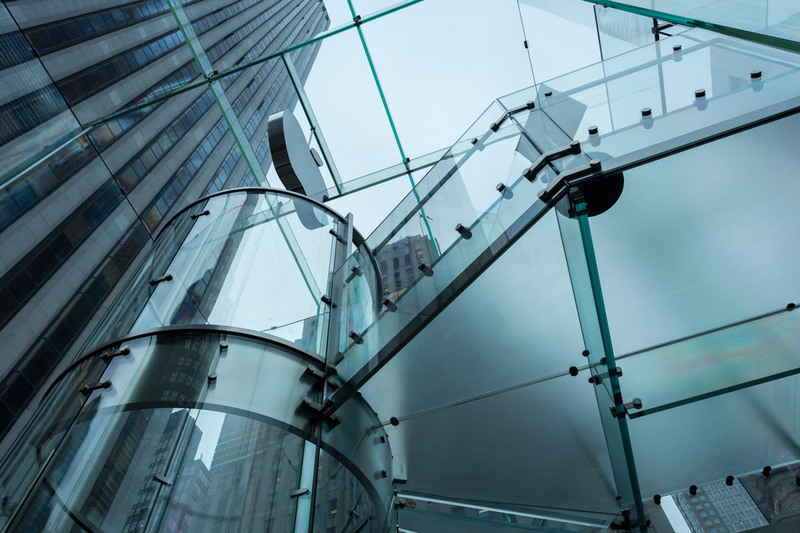 The Fifth Avenue Apple Store in New York City is the most famous Apple store in the world. Located at the south-east corner of Central Park, the store is in the shape of a cube, made out of all glass and metal. 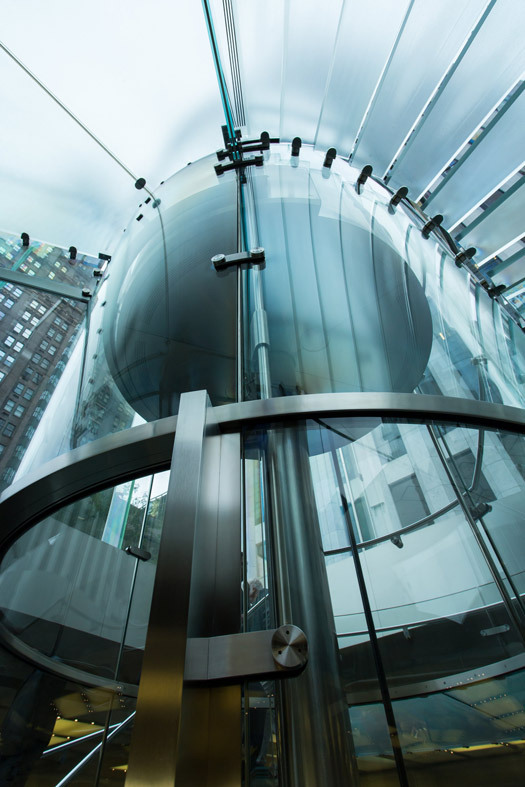 The store's spiral glass stairway wraps around the cylindrical-shaped glass elevator. Shooting photography here is difficult due to the number of people in your shot. Above ground is the glass cube entryway and below ground is the actual store. 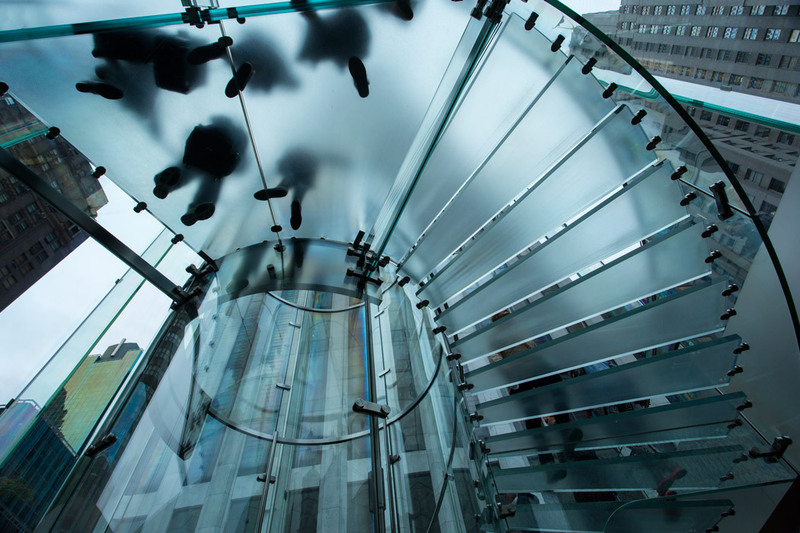 Looking up, people's footprints on the glass platform gives a shadowy effect. 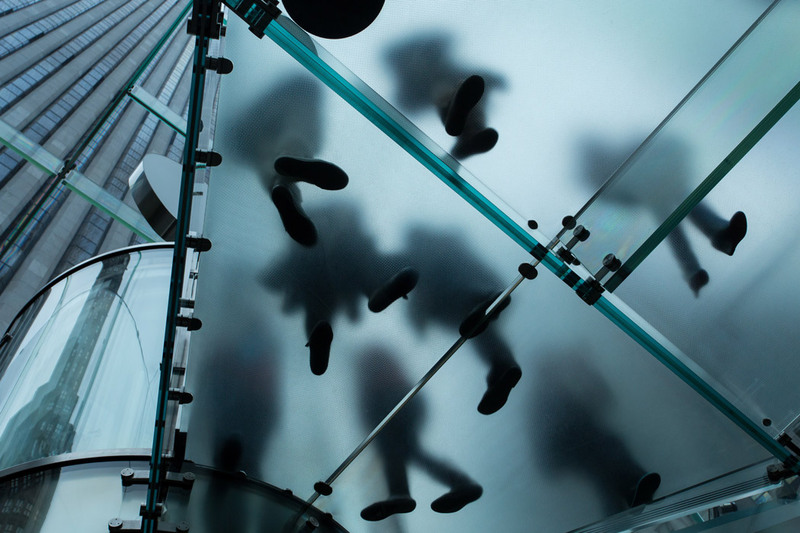 The futuristic glass elevator whooshes between the top and bottom floors. I had to wait five minutes to get this clean shot. The building's glass gives off reflections of the neighboring Fifth Avenue skyscrapers. In photos, the reflections almost appear pixelated, with a blueish-green hue.